Bebras (www.bebras.org) is an international student Computational Thinking Challenge organised in over 60 countries and designed to get students all over the world excited about computing. The Bebras tasks tasks are fun, engaging and based on problems that Computer Scientists enjoy solving. These tasks require logical thinking and can be solved without prior knowledge of computational thinking. 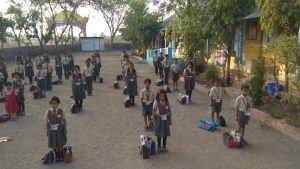 The 2018 Bebras India Challenge conducted by ACM India CSpathshala held from 19-30 November 2018 (bebrasindia.org) saw participation from 137,081 students from 12 states. Girls outnumbered the boys. 80,857 girls took part in the challenge! 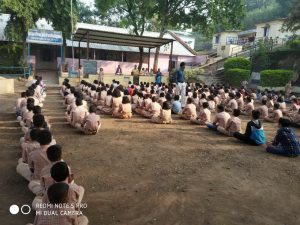 50 Zilla parishad (Government) schools in Khed , Maharashtra are implementing CSpathshala curriculum since October 2018. 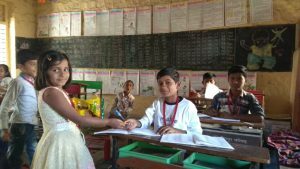 Two teachers Smita Londhe and Santosh Hande took the lead in the taluka to register their students for the Bebras Challenge. Seeing the enthusiasm, Smita Londhe, registered 69 students for the challenge but due to various school events only 15 students participated. Students from the 3rd and 4th took the online challenge in English. 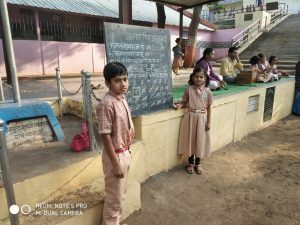 As the 10-12 year olds study in the local language Marathi, Smita had to explain the questions and the students had to finish solving them keeping to the time limit of 45 minutes which was not an easy task. The students enjoyed the challenge and had all done well! For the Bebras challenge, Santosh Hande, all subjects teacher at Zilla Parishad school at Jaulke khurd, a medium sized village in Khed taluka selected 10 bright students, prepared them by taking the practice challenge. There was an initial apprehension of what kind of “a competitive exam” this would be.They had one laptop and two computers in the school. The first three students came out all excited and shared that the Bebras tasks are a lot of fun and easy to solve. Santosh Hande registered 10 more students including an enthusiastic Eshita Rale from 3rd standard who was keen to participate and took the challenge in English. When the Bebras Challenge results were declared it was indeed a proud moment. Eshita had not only participated but had also done well. Her proud father announced that Eshita was the first student from 3rd standard in the village who had participated in an “online international challenge” and distributed sweets to the entire school! An impressive number of 9 students had secured ranks and all the students had done well. They printed the certificates and invited the parents to school to felicitate the students! Three girls Janhavi Gawade, Pranali Borhade and Nikita Borhade secured the Best in India ranks. 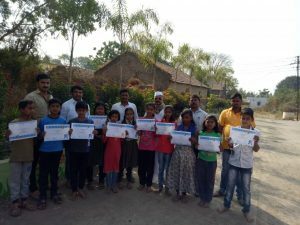 The felicitation became a celebration in the village with all of them excited that students have participated in an “International Online Challenge”. The parents have promised to come together and donate three computers to the school so that all the students can participate in the Bebras Challenge next year!